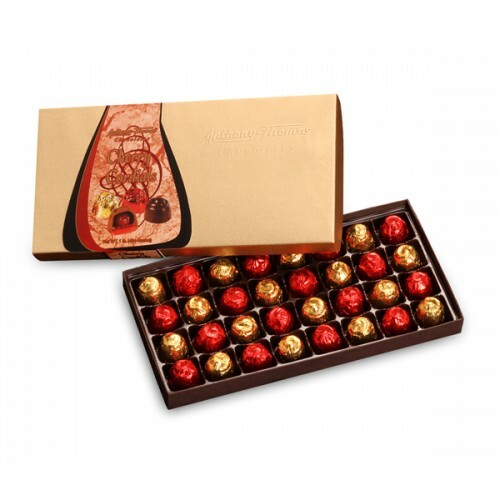 Anthony-Thomas Cherry Cordials 16 oz. a one-pound box (approximately 32 pieces) Carefully chosen maraschino cherries drenched in specially blended chocolate and wrapped in foil. Available in all Milk Chocolate, Dark Chocolate, or Assorted.